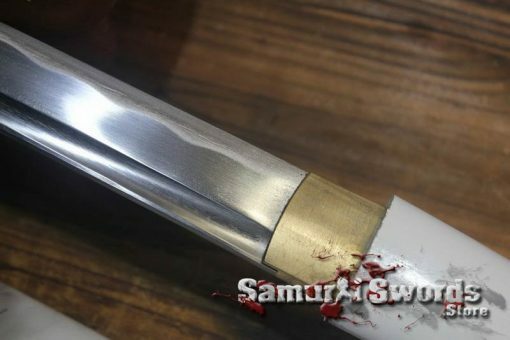 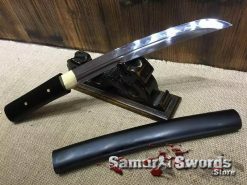 You are looking at a Traditional Japanese Shirasaya sword. 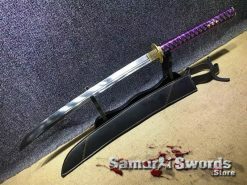 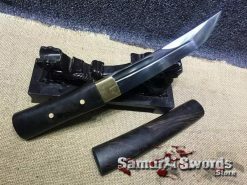 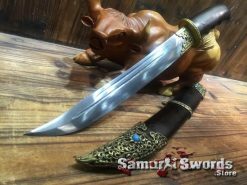 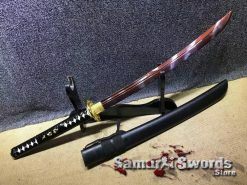 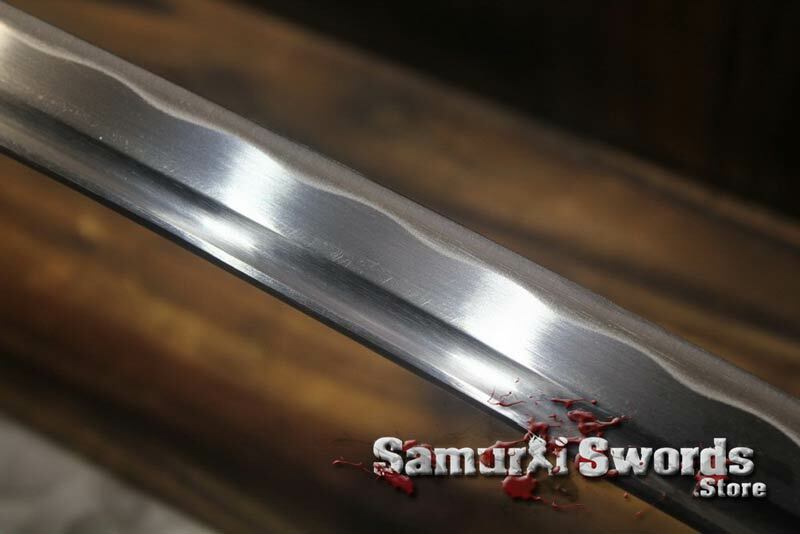 The blade is hand forged made of 1060 high carbon steel and it is sharpened and full tang. 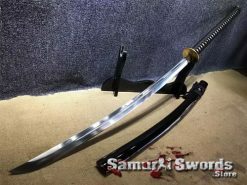 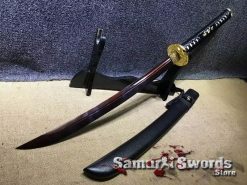 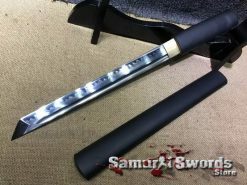 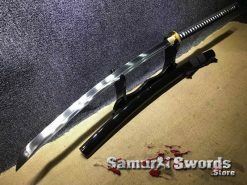 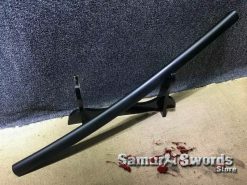 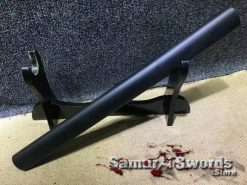 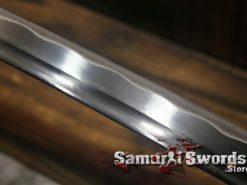 Forged from carbon steel, the tempered blade provides the correct weight and balance needed for the rigors of repetitive drawing and sword motion practice. Each blade has a deeply cut groove (bo-hi) to provide audible feedback when swung properly. Blade: The blade has been hand forged through hardened high carbon steel. 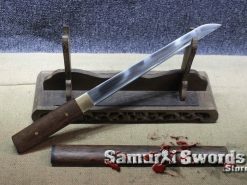 An aesthetic hamon runs down the edge of the blade and a Bo-Hi (groove) rests at the top of the blade. 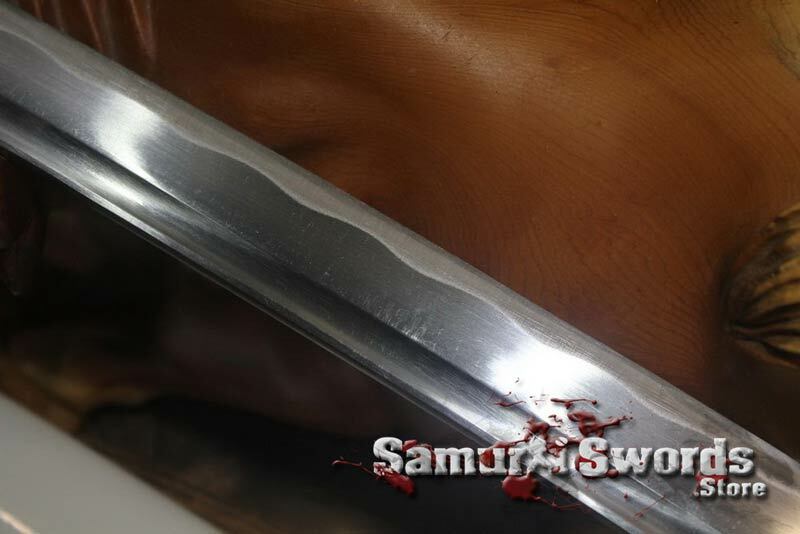 The blade is sharpened. 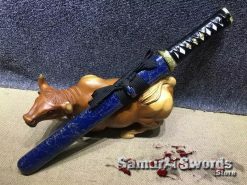 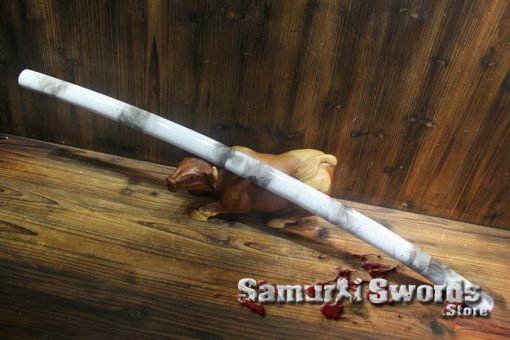 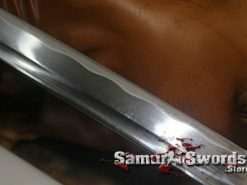 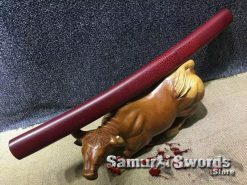 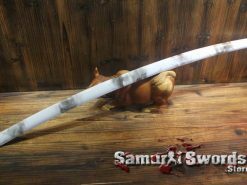 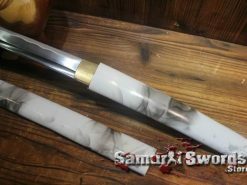 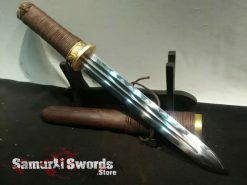 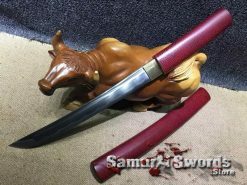 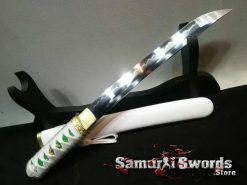 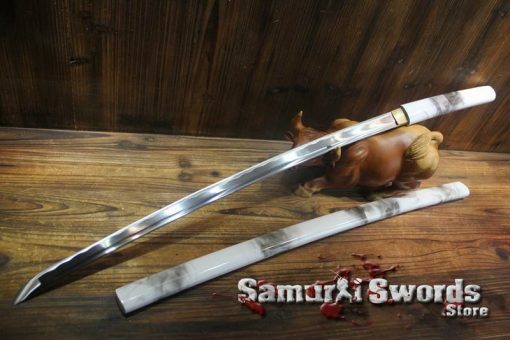 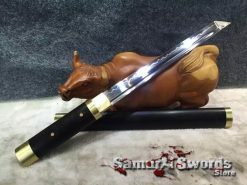 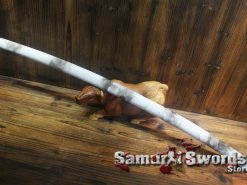 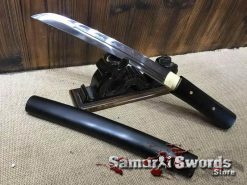 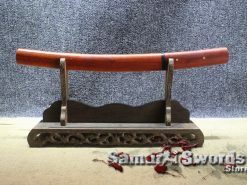 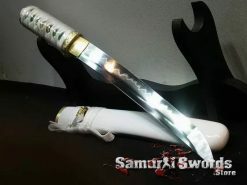 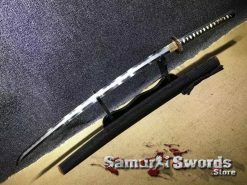 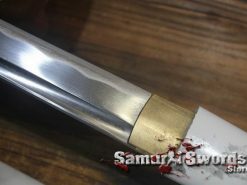 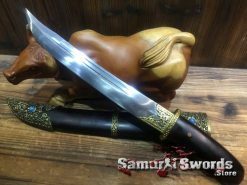 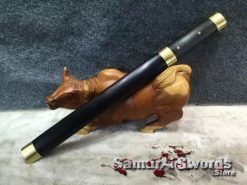 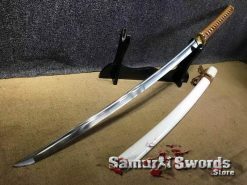 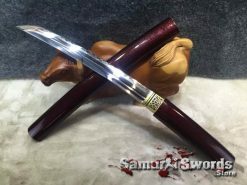 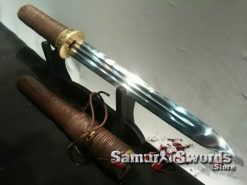 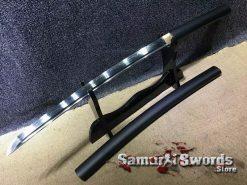 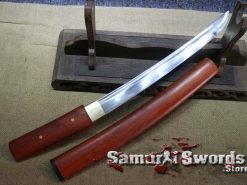 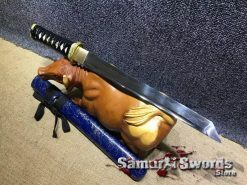 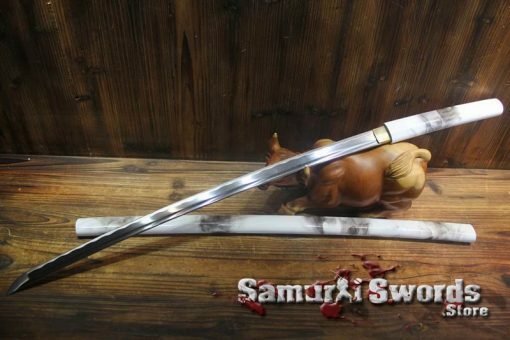 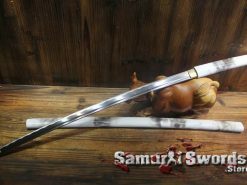 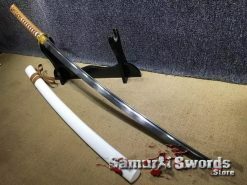 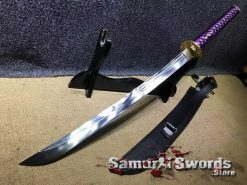 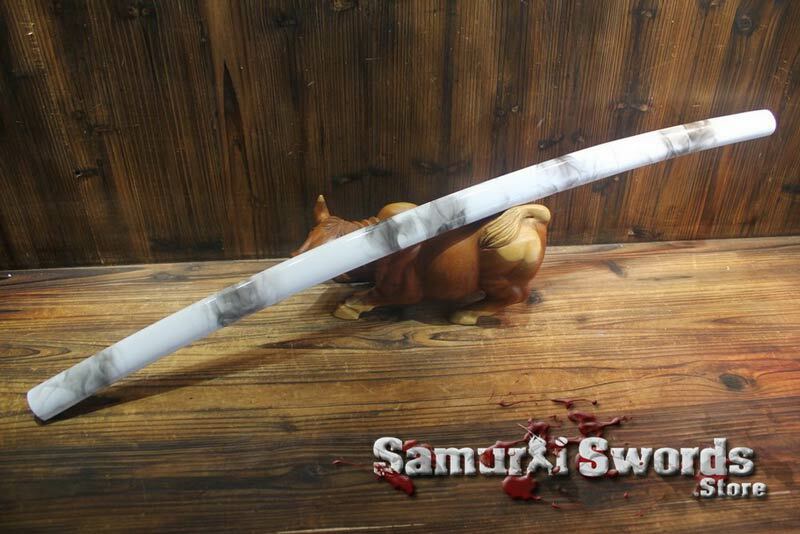 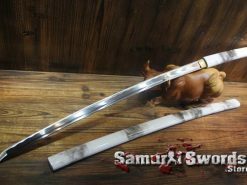 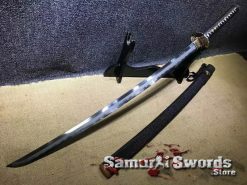 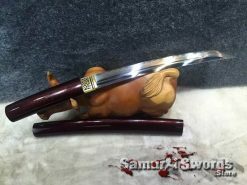 Saya (scabbard): The scabbard has been constructed from hardwood with smoke grey lacquered finish. 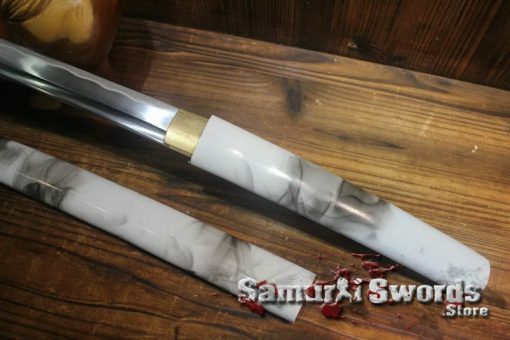 When the sword is sheathed the handle and saya appear to be one solid piece. 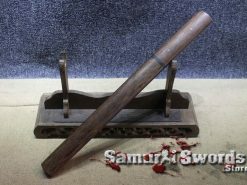 Tsuka (handle): The Tsuka core is also the same smoke grey lacquered hardwood.